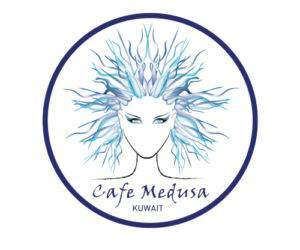 Located on the ground & first floor, you will find our exquisite boutique style Italian specialty café – café medusa. Featuring a panoramic sea view our exclusive café is in the ultimate location to enjoy the inviting atmosphere of the Arabian coastline. You will notice the custom stained glass windows and the most Grandiose Murano chandeliers the “Medusa” and the multicolored “celebration of life”. The café seating area is nestled around the Quttainah Medical Museum displays where our highly skilled chefs will provide an Italian based menu. Our baristas can offer you a multitude of fresh brewed coffees and pastries. Take this opportunity to check out the Quttainah Medical Museum. We welcome our patients and visitors to take a “journey back in time” and view our medical museum located on Level 1. We encourage our clients to browse through the hundreds of items that make up the compilation of medical and surgical antiques from Dr. Quttainah’s personal collection. They have been collected and documented over many years ranging from the Islamic medical era to the late 19th century. Each item has a significant history that is detailed in the displays and many interesting facts and stories can be found in an informative book written by Dr. Quttainah. From an original handmade Stethoscope made by the inventor Rene Laennec back in the early 19th century (1816) to artifacts from World War II you will be invited to experience the progression of medicine. >Dr. 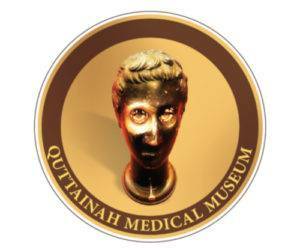 Quttainah hopes the museum will enhance your knowledge and ignite a passion and interest for the history of medicine. May the remarkable discoveries of those who have ventured before us motivate you to learn more about the advancement of modern science and medicine as we know it today.